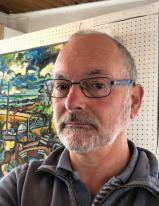 I have worked in Portscatho as a painter since 1984 and have exhibited in France and the U K, including at the Royal Academy, London and the Paris salon. 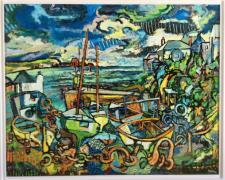 I had a retrospective exhibition at Falmouth Art gallery in 2001. 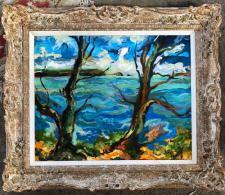 Both Falmouth Art gallery and the Royal Cornwall museum hold examples of my work. I was very pleased to be elected an Honorary Member of the St Ives society of Artists in 2018.